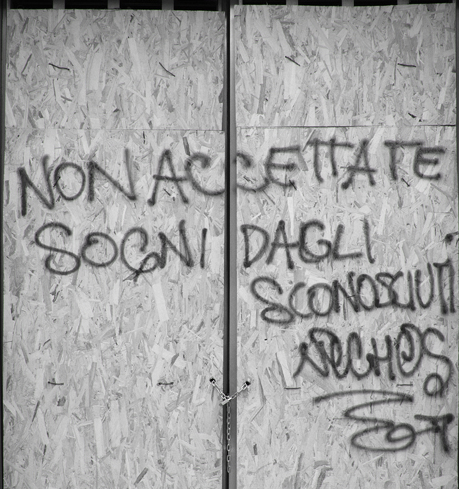 Allora non accettate case dagli sconosciuti . Quando visitate una casa con un agente immobiliare, verificate che questi lo sia davvero. HA FREQUENTATO UN CORSO E SOSTENUTO UN ESAME DI ABILITAZIONE ALLA PROFESSIONE. HA UN NUMERO DI ISCRIZIONE VERIFICABILE AL R.E.A. DELLA CAMERA DI COMMERCIO DELLA CITTA' IN CUI OPERA,DOVE HA POTUTO ISCRIVERSI SOLO DOPO LA VERIFICA DEI SUOI REQUISITI MORALI. HA UN ASSICURAZIONE (OBBLIGATORIA) CHE TUTELA LUI ED I SUOI CLIENTI. USA UNA MODULISTICA COL SUO NOME, DEPOSITATA IN CAMERA DI COMMERCIO, CHE NON HA CLAUSOLE VESSATORIE. LE SUE FATTURE SONO DETRAIBILI E, NELLE COMPRAVENDITE, IL SUO COMPENSO E' CITATO NEL ROGITO. HA UN CODICE DEONTOLOGICO DA RISPETTARE, PENA IL RITIRO DELL'AUTORIZZAZIONE AD ESERCITARE. Your method of telling the whole thing in this paragraph is actually fastidious, every one can simply know it, Thanks a lot.